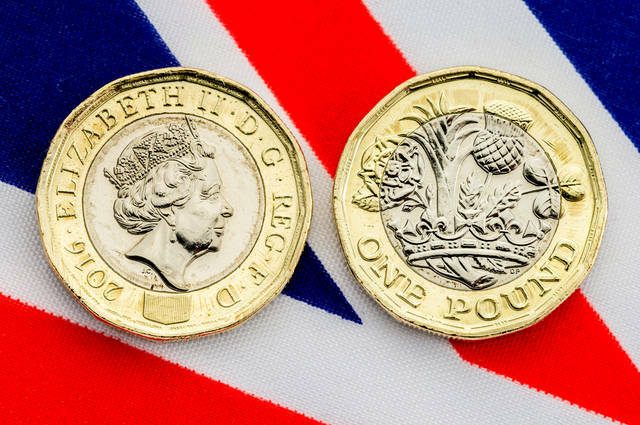 Britain’s most secure coin and, as we have learned this week – a Pound coin that has had major design flaws. Image by Linda Bestwick (via Shutterstock). In two days time, we shall be seeing the end of the old five pound note in favour of the waxy vegan-unfriendly ones. Apart from the slight controversy, the launch of our new fivers has been pretty smooth. Compare and contrast this with the implementation of the new pound coins by the Royal Mint. Lovely to look and similar to the pre-decimalisation threepenny bit, it is good to handle. Unless you have a warped coin, or one that has seen the inner part fall out. The Royal Mint’s troubles with the new pound coin have been documented by many newspapers. The supposedly indestructible coins have seen reports of melting, misshaped coins, and warping. In some coins, the inner section has fallen out. Some people have sold their broken coins on eBay and – so to speak – aim to make a pretty penny. With any new coin, teething troubles in the production process are expected, though this is a minimal instance. These are known as variances. It is claimed in the Daily Express that the Royal Mint’s new coins have been the subject of a computer glitch. The Sun has dubbed the new pound coin as The Polo Pound. Perhaps we could have a new currency unit worth £2.10 known as the Polo (which is equivalent to Two Guineas in pre-decimal currency). Today, the defective coins made the tabloid’s front page with the headline, “QUIDS ON THE SKIDS”. It’s fair to say that the Royal Mint has had a shocker of a week so far. By the end of this year, 1.5 billion new pound coins will have been minted. Able Engraving and Design, 03 May 2017. This entry was posted in Able News and tagged design, flaws, issues, manufacture, Royal Mint, warping on 3rd May 2017 by admin.